Taxi airport Podgorica to Tivat - Price 55 Eur, for all travelers who are coming to Montenegro to visit this city, and need cheap transfer from Podgorica airport to Tivat - Porto Montenegro. We are offering an excellent service at an affordable price. Your transportation from Podgorica airport to Tivat and Porto Montenegro using our company will be new and unforgettable experience of transfer service. Taxi from Podgorica airport to Tivat town located in the central part of Boka bay, in the last 15-20 years become very popular tourist request. There are many reasons which contributed to drastically increase the number of tourists in this resort, and made online transportation from airport Podgorica to Tivat so frequent. We are available non-stop, any part of the day or year, to provide you with at the first place safe, and pleasant transfer. Taxi from airport Podgorica to Tivat Porto Montenegro as single or round trip, a ride with experienced private entrepreneurs by fixed price and with new cabs. Our driver will be waiting for you at the airport exit, holding a board with your name. 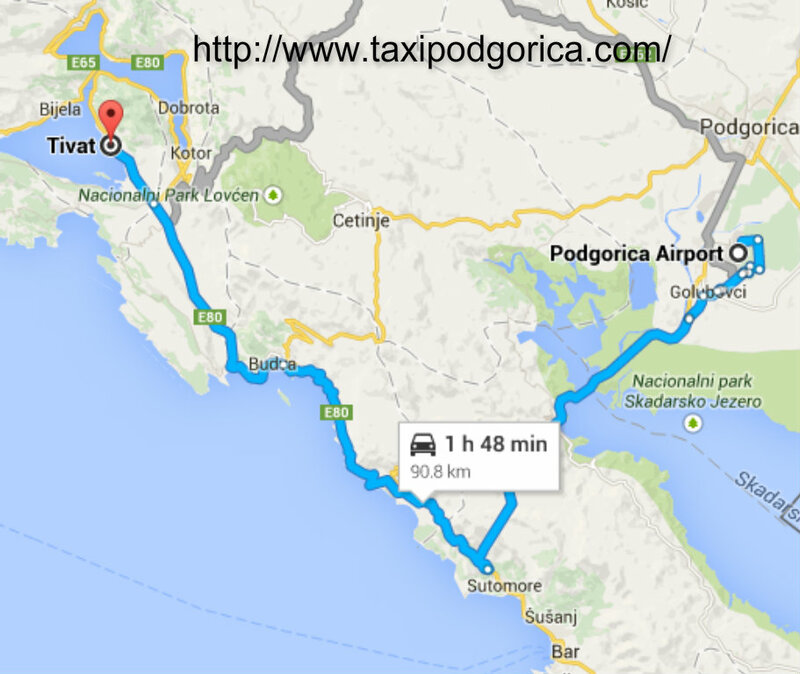 Ride takes about 1h 30min, and a price for taxi from Podgorica airport to Tivat Porto Montenegro is 55 eur. Free booking and cancellation. We are the best option for traveling from Podgorica to Tivat. Tivat is a small city, with population less than 20.000 inhabitants. But with its Mediterranean climate, warm winters, nice coast line and clean and fresh water taxi from airport Podgorica to Tivat as attractive tourist destination is often service. Tivat city has an airport which is just 3 kilometres far from the city center, but in summer time Podgorica has better connections. 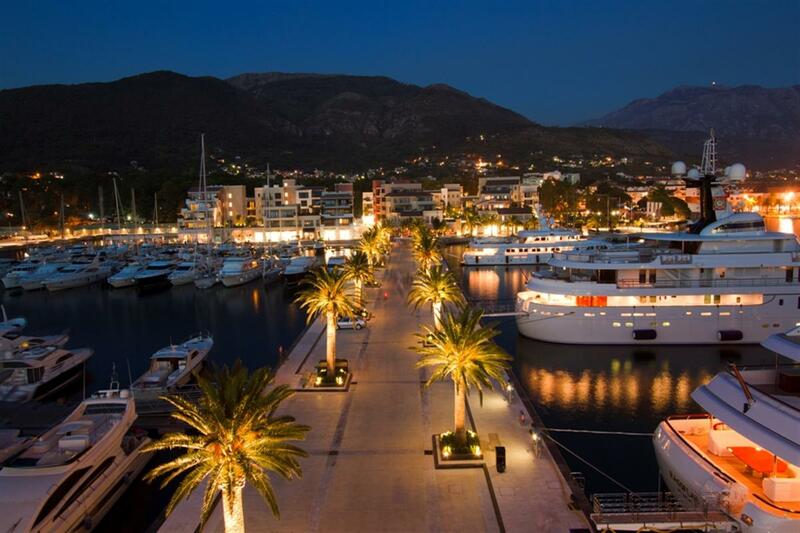 That is a reason for requests for a taxi transfers Podgorica airport to Tivat – Porto Montenegro. Tivat become luxury tourist destination for yachting, boating and sailing, especially when it's open a new nautic center Porto Montenegro. Except the port in offer are other facilities which are necessary to be recognized as a meeting place for the international jet set, and one reason more for taxi from Podgorica airport to Porto Montenegro – Tivat as everyday activity in summer months. Тivat is about 90 kilometers far from Podgorica, and using transfer from Podgorica airport to Tivat by taxi you can arrive via two directions, via Cetinje - old royal capitol of Montenegro, or via Petrovac - small but also famous tourist city. Book online in advance your reliable and cheap taxi from airport Podgorica to Tivat and we guarantee that you will have an excellent service with professional driver, and new and comfortable vehicle.